A Black day in Suburbia! 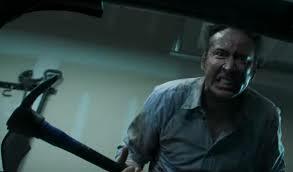 From the director of Ghost Rider – Spirit of Vengeance (Brian Taylor) and featuring one hell of a cast, including Oscar®Award-Winning* Nicolas Cage (Face Off, Con Air ), Selma Blair (Hellboy, Cruel Intentions) and Lance Henrikson (The Terminator, Aliens), Mom and Dad is ‘one of the great jet-black comedies about suburbia’(Variety) with an enthrallingly disturbing concept that sees Cage make this one of his most viciously berserk and entertaining performances of his career! Cage gets his freak on, in this Vantablack film. 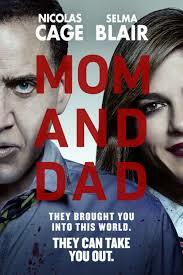 Mom and Dad will be in Cinemas on the 9th of March.